Here we have a Prismacolor pencil drawing after the glass tile Mimi cat. 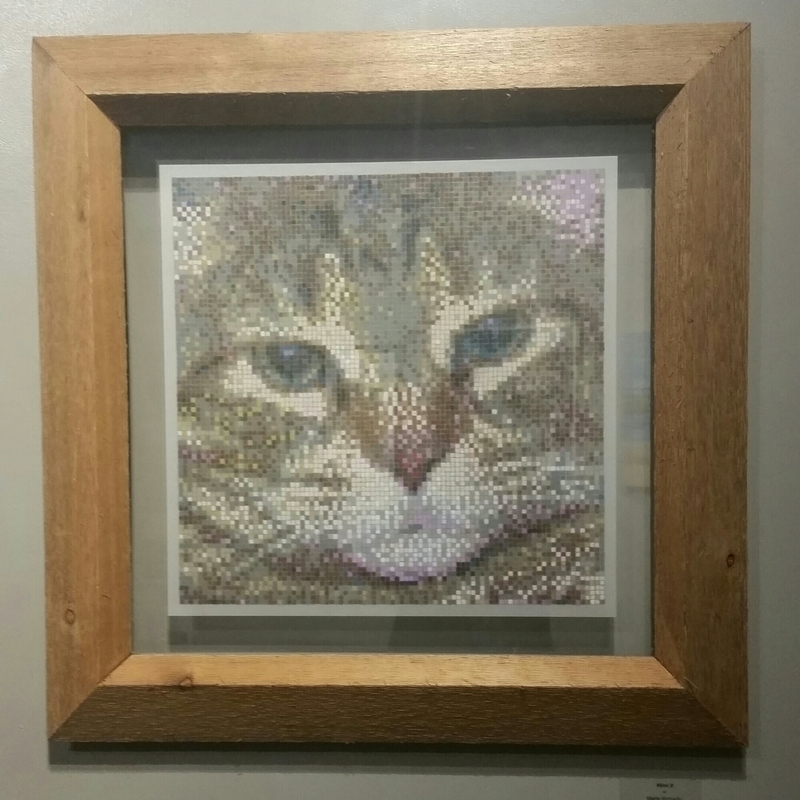 This is also composed of 8,100 squares, but this time they are quite small so the finished size is 18″ square (floating between panes of glass and a solid cedar frame shown above). Which is to say, a photomosaic can be done in various media such as tile, beads, paint, crayon, latex paint, and probably others yet unrealized. If you would like to have a custom mosaic created for you, contact me via Marie [at] bit-by-bit.me.